Please join a free Zoominar: What is Whole Person Leadership? We are excited to invite you to a free live 45-minute "Zoominar" conversation to explore what it means to be a Whole Person Leader. walk away with new ideas you can apply to lead from a place of wholeness and vision. You’ll be surprised how quickly we can create intimate connections and generate outcomes that last. Claudia Eisinger: Qualitative research professional bringing emotional intelligence to qualitative research. 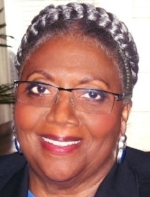 Vivian Jenkins Nelsen: Senior Fellow, Adjunct Professor, teaching and leadership roles in three universities; author, Diversity Leadership: A Trainer's Manual. Kim Kristenson-Lee: 25-year HR and Leadership executive in a Fortune 10 company. 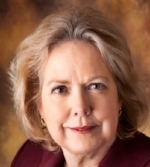 Lynn Nelson: PR professional and leader; author, Getting Your Life Into Balance. Patricia Neal: Co-author, The Art of Convening; President, Center for Purposeful Leadership.